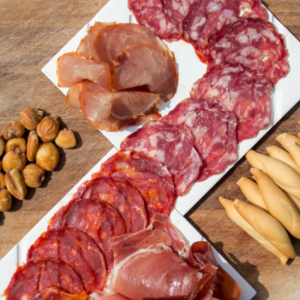 An assortment of top-quality Serrano sliced meats including Reserva Serrano ham, loin, salami and chorizo. 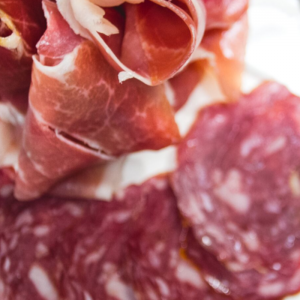 Allowing the meat to come to room temperature before opening will improve the flavour and make preparation easier. 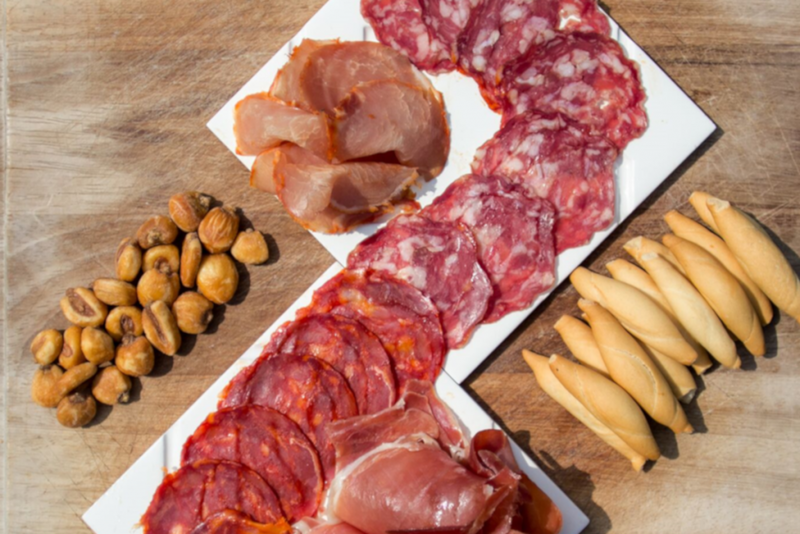 Perfect for a mixed cured meat platter to share for any occasion! 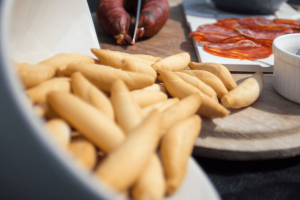 INGREDIENTS: Serrano Ham: Pork ham, salt, sugar, preservatives E250 and E252 and antioxidant E300.Salchichon (salami): Pork meat, lacose, salt, milk proteins, dextrose, spices, emulsifiers (E451; E450; E339), natural flavouring, antioxidant (E316), preservatives (E250; E252), colourings (E120; E124). 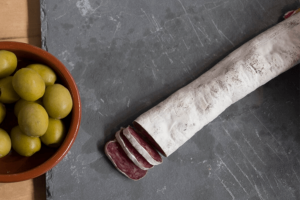 Chorizo: Ham shoulder, bacon, salt, red pepper, lactose, milk proteins, dextrose, garlic, flavouring, antioxidant (E301), spices, preservatives (E250; E252), colouring (cochineal). 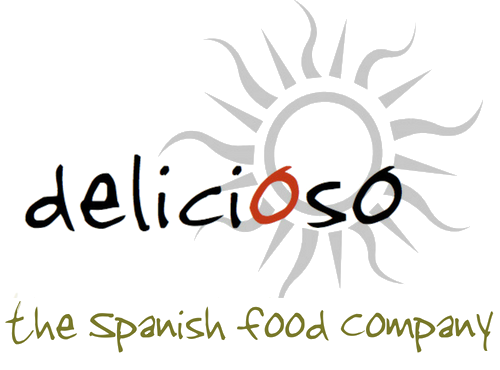 Lomo: Pork loin, salt, red pepper, spices, sugar, stabiliser (E301), preservative (E250, E252). STORAGE: Requires refrigeration; bring to room temperature before serving.